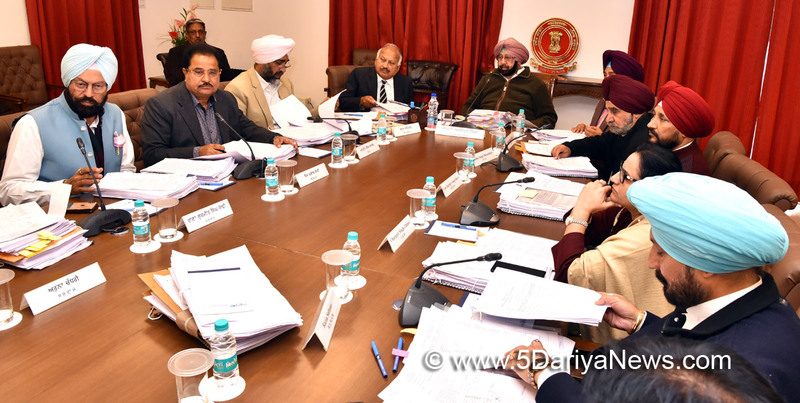 The Punjab Council of Ministers has okayed Rs. 10000 per month pension for the bereaved parents of CRPF Pulwama martyr Constable Kulwinder Singh, whom Chief Minister Captain Amarinder Singh had met at their village in Anandpur Sahib last month and promised all government support.The Chief Minister had, during his visit to the house of Darshan Singh and his wife in village Rauli, announced a special monthly pension of Rs. 10,000 to them (either or surviving parents) since they had no other children and the deceased was unmarried. He had then said the agenda note for the pension would be presented by the Department of Defence Services Welfare at the next cabinet meeting.The pension will be given in lieu of the job to the next of kin of the martyr, and will be in addition to the Rs. 7 Lakh Ex-Gratia and Rs. 5 Lakh Cash in lieu of Land which the family is entitled to.